COLLABORATION CORNER: Title I Conference and Honoring Career and Technical Education Month! It’s simple for me! I’m honored to lead this office and serve the millions of children, youth, and adults with disabilities and their families across our nation, and to support states in their ongoing work to improve early childhood, educational, and employment outcomes for individuals with disabilities. 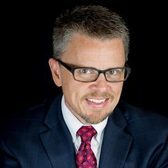 Read more from Johnny Collett on his commitment to serve individuals with disabilities and their families, and to support the institutions that also serve them here. You can now follow OSERS Assistant Secretary Johnny Collett on Twitter! 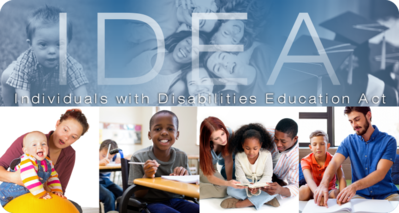 Starting on April 30, 2018, the now-archived Building the Legacy: IDEA 2004 (Legacy) website will redirect users to the U.S. Department of Education's new Individuals with Disabilities Education Act website (new IDEA website). Content from the Legacy site is available for reference on the new IDEA website, and can be found on the Building the Legacy: IDEA 2004 historical reference page. We encourage users to bookmark the new IDEA website using the following link: https://sites.ed.gov/idea. Earlier this month, I attended the 2018 Council for Exceptional Children (CEC) Special Education Convention and Expo. I was joined by many of my OSERS colleagues, including Assistant Secretary Johnny Collett and Deputy Assistant Secretary Kimberly Richey. Collett and Richey hosted a town-hall listening session regarding teacher and personnel shortages. Participants identified challenges faced by school districts due to these shortages and proposed solutions for OSERS to take back to Washington. We're so grateful for the wonderful insight our stakeholders provided during this session and many others throughout the conference. Another great success was the family engagement panel. 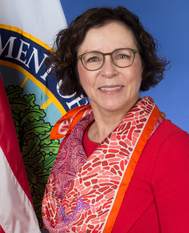 It included representatives from several OSEP-funded technical assistance (TA) centers and parent training and information centers (PTIs). The panelists highlighted relevant resources from their centers, and addressed questions on how to improve family-school partnerships that result in better services and outcomes for children with disabilities. On Feb. 12, the U.S. Department of Education (ED) released its budget request for the 2019 fiscal year (FY19). One of the six main themes of the budget relates to serving children with disabilities. You can read more about the President's commitment to ensuring that high-quality special education and related services meet the unique needs of children with disabilities and their families in ED's FY19 budget fact sheet or the President's full budget request. As Secretary DeVos has stated, we "...look forward to working with Congress to pass a budget that puts students first and returns power in education to where it belongs: with states, districts and families." Throughout February and March, OSEP state leads will review their states' SPP/APR submissions. As a reminder, OSEP will hold the SPP/APR clarification period during the second and third weeks of April. We will notify states as soon as the dates are finalized. On Feb. 8, OSEP held its monthly National TA Call for states. The call focused on the recently released FFY18 annual application for states under the Individuals with Disabilities Education Act (IDEA) Part C. During the call, OSEP walked participants through the application package and highlighted any new items. We did the same for the FFY18 Part B application that was released later in the month. You can find each of the two application packages, for Parts B and C, on our IDEA formula grants web page. OSEP also holds monthly calls with our centers that provide TA directly to states. Our conversation this month focused on providing a coordinated approach, across the providers and OSEP, to supporting states in improving their performance in the areas designated by the DMS process. You can read more about these areas and the DMS process here. DaSy (the Center for IDEA Early Childhood Data Systems) recently released the Building Stakeholder Knowledge about Data toolkit. This new resource is geared towards IDEA Part C and Section 619 stakeholders, such as families of young children and preschoolers with and at-risk for disabilities and developmental delays. It provides an orientation to IDEA data and related topics, and is intended to help stakeholders meaningfully participate in conversations and decision making about important programmatic issues. IDEA Part C and Section 619 staff are encouraged to share this toolkit with stakeholders as a self-guided resource, and to use it with them in a facilitated manner. encourage collaboration among researchers, practitioners, and policy makers to build upon the evidence base for policy and practice. The conference will present the latest research surrounding child care, Head Start, Early Head Start, home visiting, child welfare, special education, prekindergarten, early elementary, and other early childhood programs. the Leadership Education in Neurodevelopmental and Related Disabilities (LEND) program. We also encourage stakeholders to use the Early Identification and Referral and Self-Assessment Guide, used as part of NCDB's initiative to assist state deaf-blind projects in improving outcomes for infants and toddlers in their states with deaf-blindness. 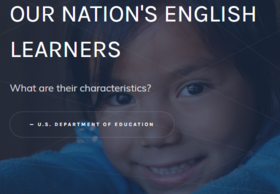 ED recently launched a new interactive website dedicated to data on English Learner (EL) students in grades K–12. The site's colorful maps, bar graphs, and charts provide a clearer understanding of America's diverse EL population through a data story. What languages do ELs speak? The data story reveals that nearly every U.S. state has at least one school district where the EL population has increased by more than 5 percent since the 2010 school year. The data displayed, now made accessible by this story, will serve to dispel commonly held misconceptions about ELs and help educators better understand the needs of this diverse group of learners. Next month, the Center for Appropriate Dispute Resolution in Special Education (CADRE) will present Skilled Dialogue: Minding and Mining the Riches of Differences. This webinar will focus on how diversity can—and should—enhance and unite rather than diminish and divide. Presenters will provide a series of strategies that can transform contradictory interactions into complementary ones. Sample scenarios will be presented to illustrate using Skilled Dialogue with colleagues, families, clients and supervisors. You can view the webinar on March 6, 2:30—3:45 p.m. ET. We also invite you to view resources from CADRE's recent National Symposium on Dispute Resolution in Special Education, including video recordings and materials from many of the sessions. For more information on special education dispute resolution, visit the center's website. A new pilot program, authorized by the passage of the Every Student Succeeds Act, is seeking local educational agencies (LEAs) interested in the flexibility to implement a student-centered funding system. In the context of the pilot, a student-centered funding system is one based on weights that allocate substantially more funding for students from low-income families, ELs, and other educationally disadvantaged student groups. ED can approve not more than 50 LEAs to participate in this pilot. The official application for the pilot was published on Feb. 8, 2018. The application deadline is March 12 for LEAs planning to implement in SY 2018–19 and July 15 for LEAs expecting to do so in SY 2019–20. Frequently asked questions and other resources will be posted on the program's website soon. If you have questions about the application, please email weightedfundingpilot@ed.gov. Earlier this month, OSEP staff were thrilled to join their colleagues both across ED and in the field at the 2018 National Title I Conference. Many thanks go to our partners in the field who contributed their on-the-ground insight to many of our sessions. Kerry Haag from the Kansas Department of Education supported the Serving All Students: With a Focus on English Learners and Children with Disabilities session and provided a much-needed state perspective. 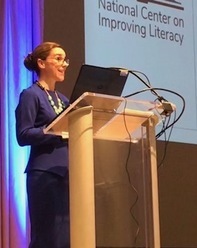 Sarah Sayko, pictured at left, from the ED-funded National Center on Improving Literacy also provided valuable insight and expertise during the Supporting Decision Making for Evidence-based Literacy Interventions session. It was clear that there was a large amount of interest in this area, and Sayko did a wonderful job of engaging the audience throughout the presentation (even after the session had ended! ), and helping to draw connections between ED's investments in this area and the impact her center's work can have for states and LEAs. participate in and complete career pathway programs. TA will include gap assessments, communities of practice, and individualized work with subject-matter experts, many of whom are leaders in special education. This includes representatives from many OSEP investments, such as Heather Griller Clark from the Arizona juvenile justice model demonstration project and Amy Freeman from the Ohio PTI. 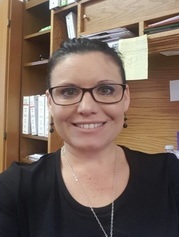 This month, we had the opportunity to interview Monica Adrian, a program manager and behavior support specialist for the Merced County Office of Education in California. In the interview, Adrian shares her experience as an Act Early Ambassador to California for the U.S. Centers for Disease Control and Prevention’s Learn the Signs. Act Early. campaign to promote developmental screenings. She also discusses her work related to supporting positive social skills and behavior for some of her county's neediest children. Check out the full interview on the OSERS Blog. OSERS is on Twitter with the latest tweets from special education advocates, educators, families, and students. Follow us @Ed_Sped_Rehab and tell your friends. We'll see you in the Twittersphere! Visit our blog for powerful stories and useful information from parents, families, educators, and practitioners in the field. Be sure to bookmark sites.ed.gov/osers for future posts! We want to hear from you! Do you have suggestions for technical assistance opportunities? Parent resources? Webinar topics? Ideas for items to include in future newsletters? Send them to Charlotte Stein at charlotte.stein@ed.gov. If you know someone who would like to subscribe to the OSEP newsletter, encourage them to sign up HERE! This link will also allow subscribers to manage their subscriber settings. This newsletter may reference and contain links to external sources. The opinions expressed in these sources do not reflect the views, positions, or policies of the U.S. Department of Education, nor should their inclusion be considered an endorsement of any private organization. Were you forwarded this email?